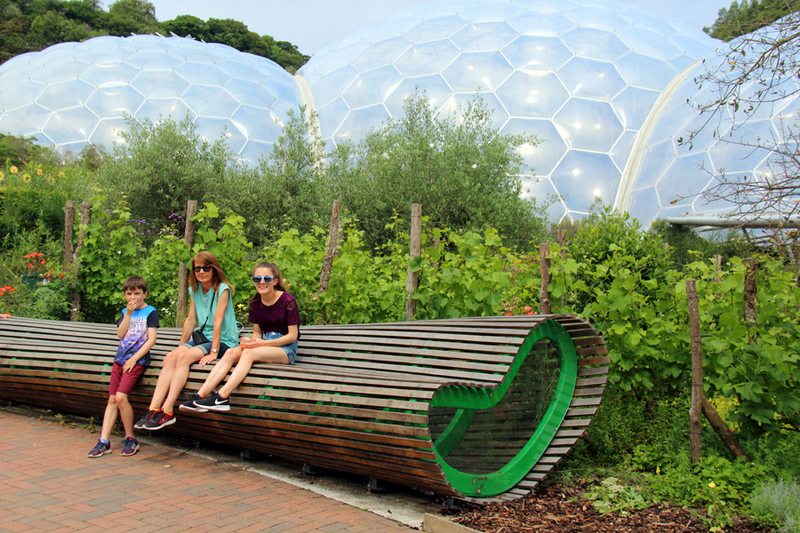 The Eden Project story is a fascinating example of how redundant land can be reclaimed and transformed into an award-winning, world-famous attraction which should be on everyone’s bucket list; and if that wasn’t enough, it’s a well-respected educational charity, too. Tim Smit’s creation began when a china clay pit was approaching the end of its working life. Having completed the restoration of Cornwall’s Lost Gardens of Heligan, Smit was looking for a suitable site – on a rather grand scale, too – to showcase some of the world’s most important plants. 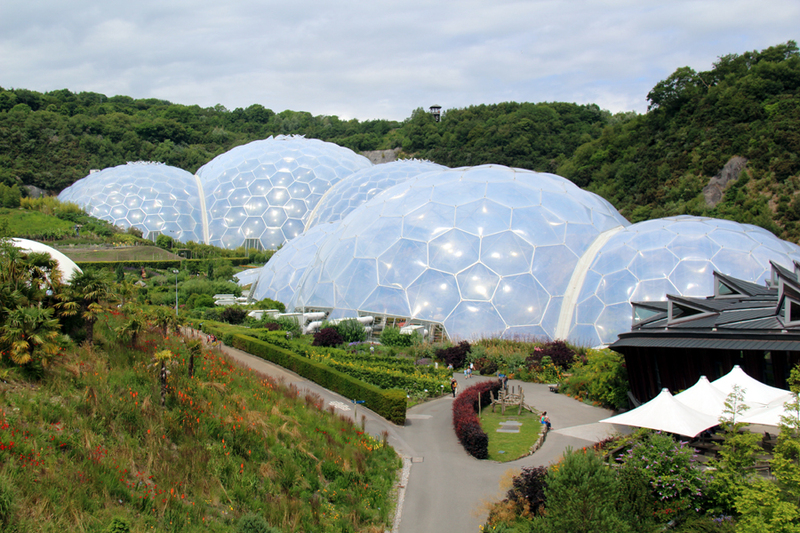 Believe it or not, the initial plans for the two biomes, which form the backbone of this popular Cornish attraction, were sketched onto a napkin over a drink in a pub. Eventually, the design was based on bubbles because, as the attraction’s website states, “bubbles can settle on any shaped surface, even irregular clay pits”. 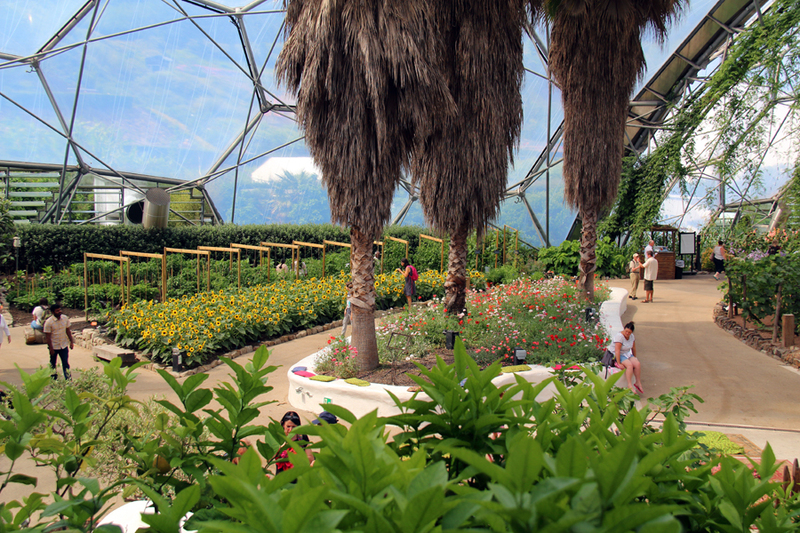 It’s amazing to think that the Rainforest Biome, one of two on the site, is twice as high as the Tower of London and has become home to over 1,000 different rainforest plant species. 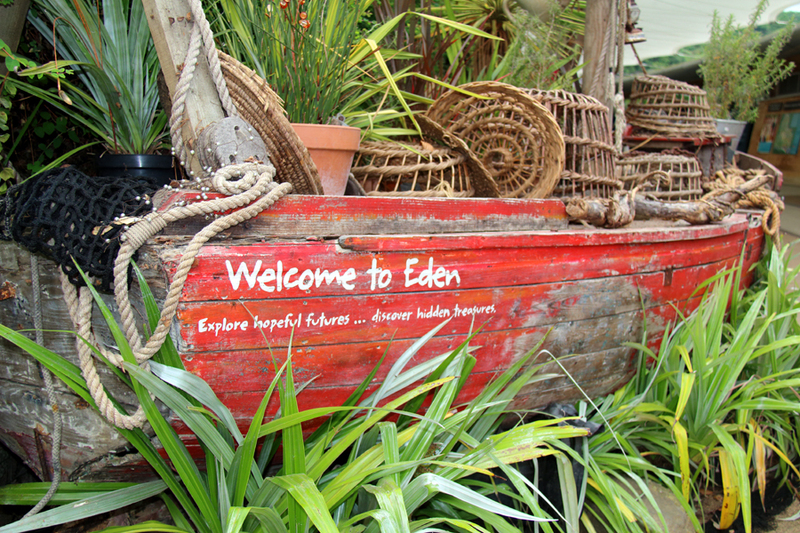 But that’s just one of many areas visitors can enjoy and marvel at when visiting the Eden Project. Even though it opened its doors for the first time in March 2001, my family and I had never visited. 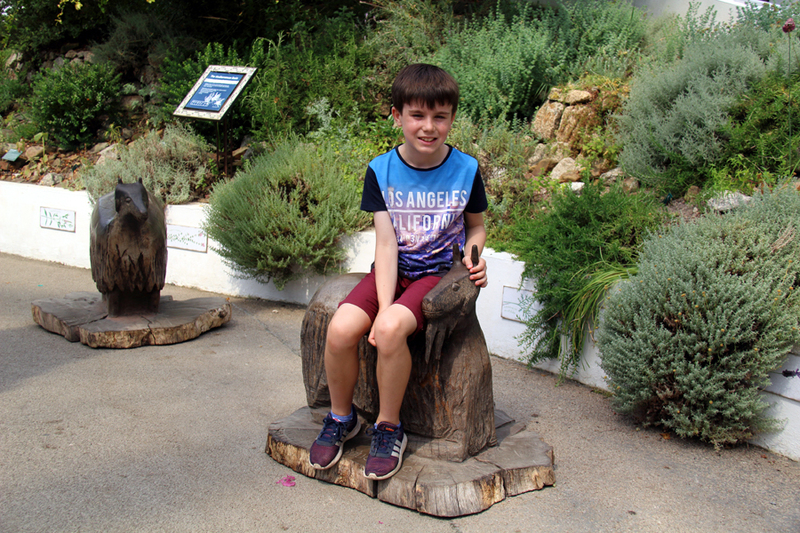 My kids, Hollie and Peter, had kept on nagging me so we eventually decided to see for ourselves what others had been recommending as a must-see. The first plus, as far as we were concerned, was the free parking – and there are plenty of spaces to choose from. Let’s face it, most attractions can work out expensive for families – regardless as to how impressive they are. Then, to top it all, you have to pay an extortionate parking fee as well. 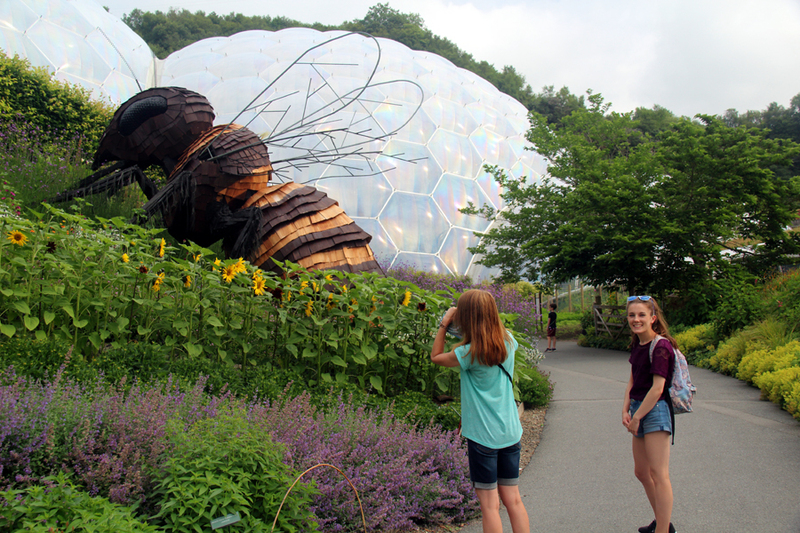 That’s not the case at the Eden Project because all the car parks are free – and there are also complimentary shuttle buses you can jump aboard when returning to your car after the visit. 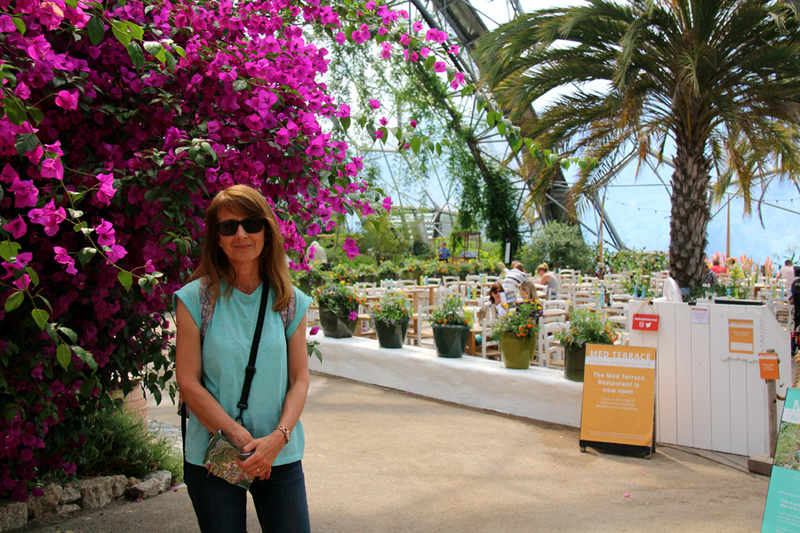 Nestled in a huge crater, massive covered Biomes house the largest rainforest in captivity, Mediterranean landscapes, stunning plants, crop displays, art installations and much, much more. Outside, there are Outdoor Gardens and a concert venue, where many top acts perform, while The Core is not only a learning centre but the home of science exhibitions, too. We started off at the Rainforest Biome and it did feel like a stroll through a steamy jungle; it speaks for itself that inside the dome is hot and sticky so it’s nice to see drinking fountains dotted around and even a cool room. Oh, what a pleasure it was to step inside! But it’s not just a case of wandering past countless plants, there are educational information boards and displays so you can start to appreciate how, for example, the rainforests keep us alive. 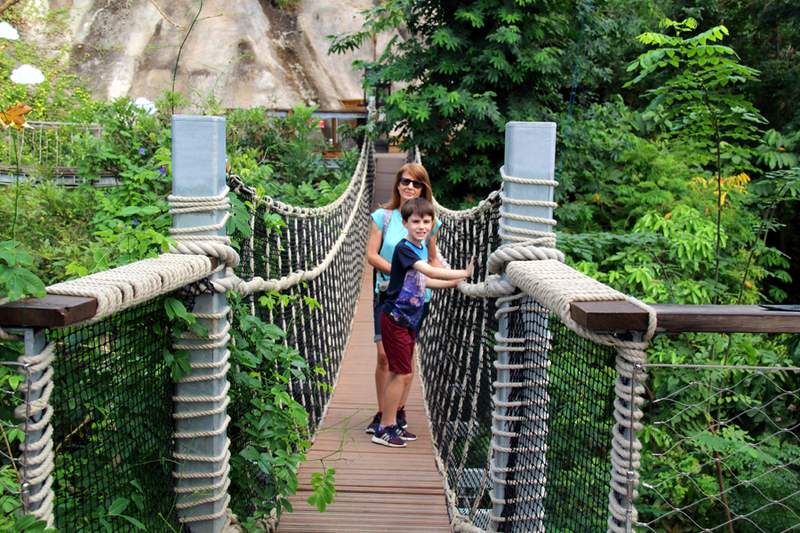 Before leaving the Rainforest Biome, we visited the Rainforest Canopy Walkway, high in the dome. Unfortunately, we couldn’t reach the highest point because the humidity had reached such a level that staff members had to close the highest viewing platform for safety reasons. 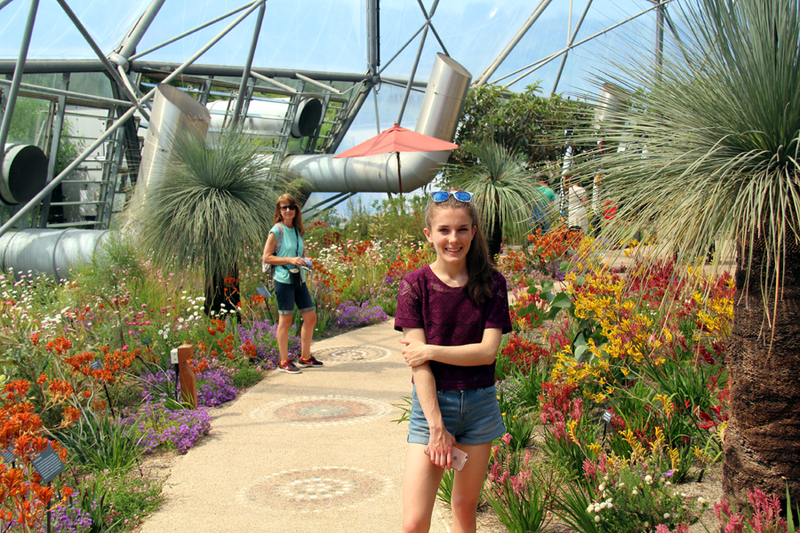 We enjoyed the colour and scents in the Mediterranean Biome, which also houses plants from America, South Africa and Western Australia, before heading to The Core. This seed-shaped structure included a play area for infants and the world’s largest nutcracker! 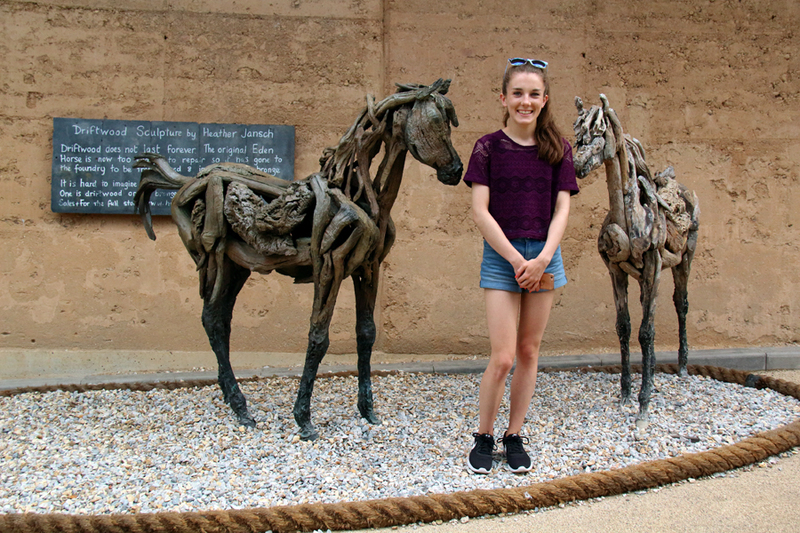 Before our fun day came to a close, we spent time admiring the Outdoor Gardens, which once was just a barren landscape with no soil or plants, and enjoyed a bite to eat at one of many cafés/eateries on site; the ingredients are organic and freshly made. 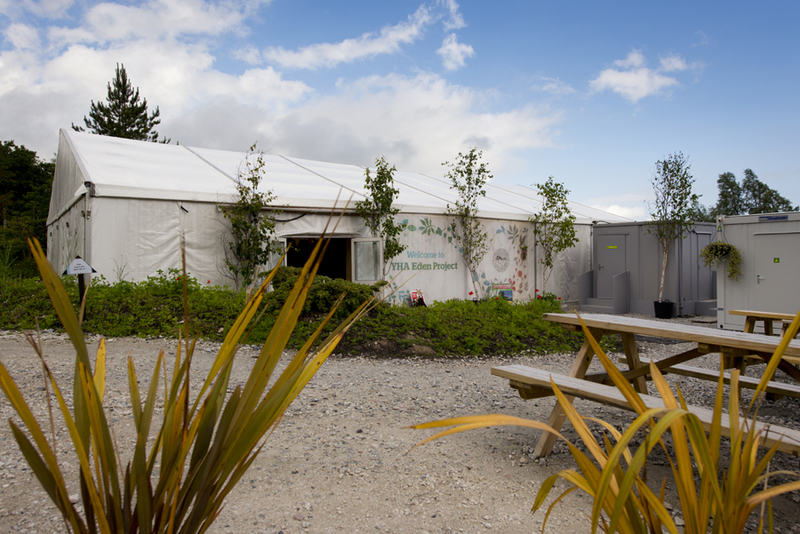 Three things, in particular, pleased us: first, vegans and veggies were catered for as well as meat-eaters, the food was tasty and, thirdly, prices were reasonable – important when you’re buying for four! 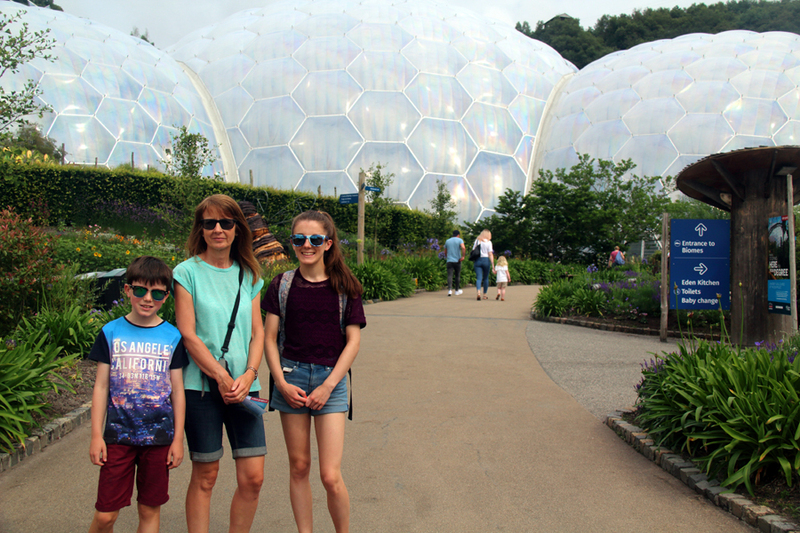 Overall, we enjoyed our visit to the remarkable Eden Project and would recommend it to other families.